Adventures of a Starving Artist: Worship Wednesdays - Bake Some Cookies, Everyone! Worship Wednesdays - Bake Some Cookies, Everyone! As I write this, my shoulders are aching. "Of course," you say, "This is your busy season! 20 events in less than a month. All that singing and playing, not to mention carrying gear. It makes sense that your body would feel the burn..."
Actually, it's not that kind of aching. Tonight, I have Baker's Shoulders. On the actual day, breakfast dishes are cleared and the kitchen becomes a baking machine. Don't step in the room unless you want to be assigned a task. This year, we tried two new recipes - Mexican Wedding Cookies and Spiced Fig Pinwheels - and my favourite classic choice - Scottish Shortbread, this year with a Salted Chocolate topping. Fabulous! But what a terrible way to approach one of the most beautiful months of the year. This is a season filled with once-a-year music, art, and enjoyment. We personally know the feeling of getting to the end of the month and feeling like we didn't experience any of it. It's exhausting and depleting. We live in a society that glorifies stress and overworking. We're encouraged to brag about our lack of sleep, our refusal to take a day off, or our '80-hour' workweek. This is our currency to define ourselves as productive, important, and successful. But what's the point of spending our days creating glorious, inspiring music and worship, and then missing out on the glory and inspiration of it all? I'm not going to ignore the truth - December is difficult for many people for many reasons. There's no denying it. But we also have the ability to make positive choices in difficult seasons, and today, I'd like to encourage you to do just that. Whether it's baking cookies, watching a Christmas movie, or taking the long drive home so you can see the neighbour's crazy light display, take a little time each day to enjoy the blessings of the season. Read an Advent devotional or book of seasonal poetry to give yourself a moment of focus in the day. And take a few moments to be still and give thanks for the blessings in your life. This may seem like simple advice, and it is. But in the craziness of the season, it's the simple things we tend to overlook. And when we turn our focus back to them, even for a few minutes, the results can be powerful! One week til Christmas Eve, everyone! 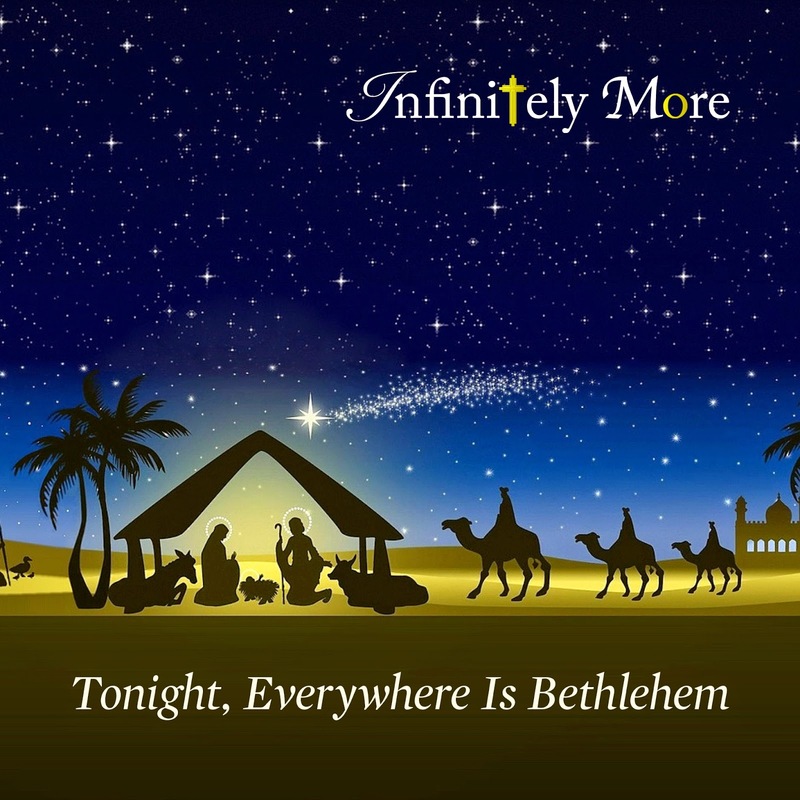 There's still time to order Infinitely More CDs for Christmas! Each and every CD ordered from our site this month will receive a FREE Christmas Card! Worship Wednesdays - Our First Radio Single!